Pine Cliffs Hotel, a Luxury Collection Resort, in the Algarve, is the iconic retreat with stunning views over the Atlantic Ocean, located on the top of the Algarvian red cliffs, above Portugal&apos;s famous beach, Praia da Falésia.With a Moorish influenced decoration, Pine Cliffs&apos; rooms are full of exquisite indigenous details. 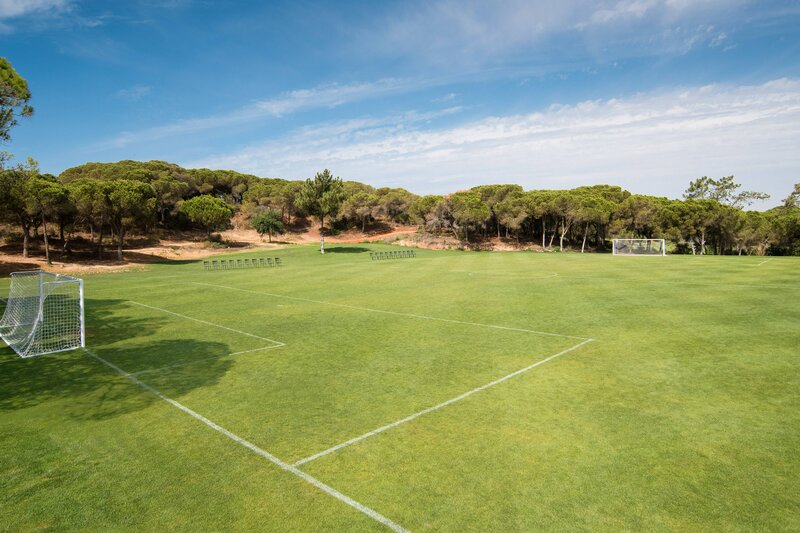 The hotel features a 9-hole golf course, tennis and padel courts, a luxurious brand-new spa, Serenity - The Art of Well Being, along with an amazing variety of dining options.Our guests find world-class family facilities including Porto Pirata, the biggest kids club in the region, and the Junior Club. The Resort boasts exceptional leisure and sports facilities including the 1,100m2 Serenity Spa, the Pine Cliffs Goes Active gym and health club, the Annabel Croft Tennis Academy, a 9-hole clifftop golf course and Golf Academy as well as swimming pools and water sports (seasonal).In 11 different restaurants and bars we offer culinary delicacies alongside refreshing fine drinks. 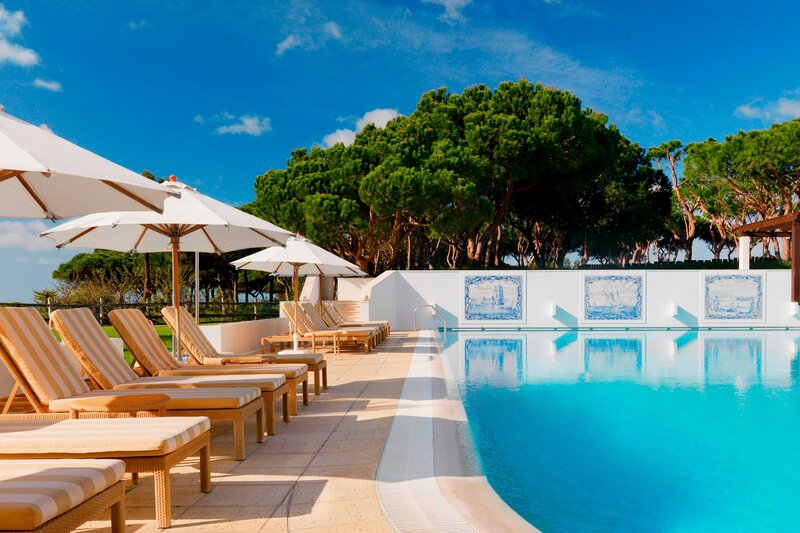 Located in southern Portugal, on the Algarve coast, the Pine Cliffs Hotel, a Luxury Collection Resort offers discerning travelers exclusive living at a clifftop resort, overlooking the Atlantic Ocean. Our resort sits within the 72-hectare Pine Cliffs Resort and is traditionally styled with indigenous design, where Portuguese history is narrated through murals and hand painted tiles, skillfully complemented by native architecture. 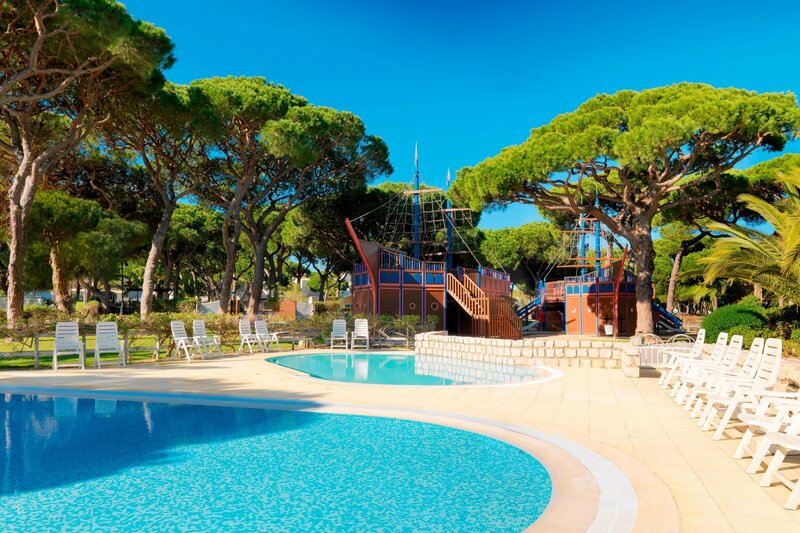 Just half an hour from Faro International Airport, the hotel is in a beautiful area of the Algarve, bordered by aromatic pine woods and a sheer cliff formation with striking orange sandstone. 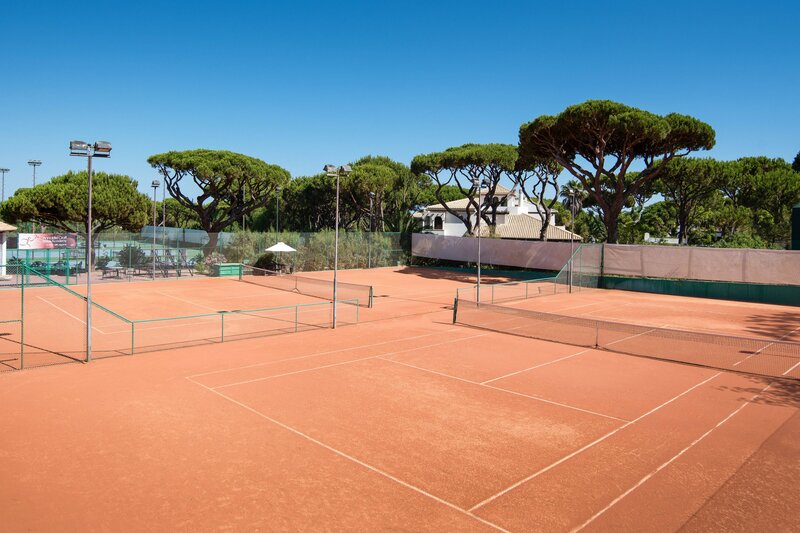 Pine Cliffs exceeds expectations with its array of water sports, Health & Fitness Club, 9-hole Pine Cliffs Golf & Country Club and Annabel Croft Tennis Academy with five floodlit tennis courts and a paddle court. 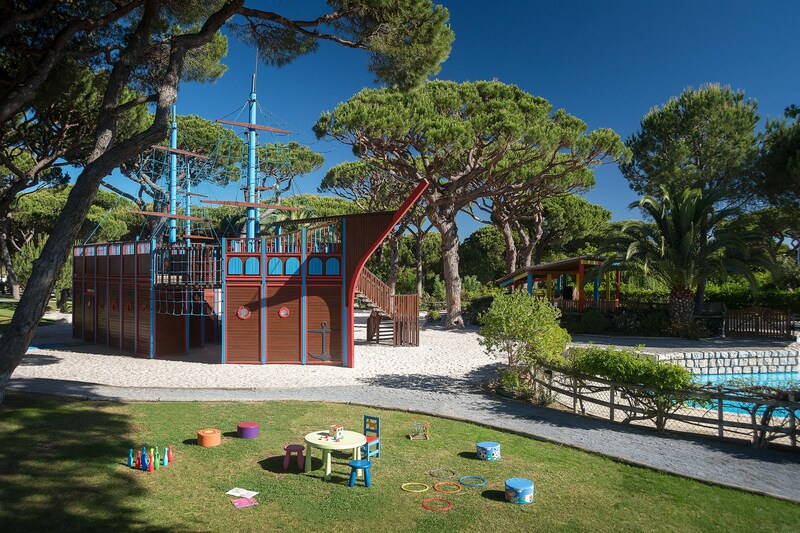 For younger guests there is the Junior Club for 8 to 13 year-olds and Porto Pirata Kid’s Club with its lifelike pirate ship and 7,000m2 children’s village for 6 month to 8 year olds. 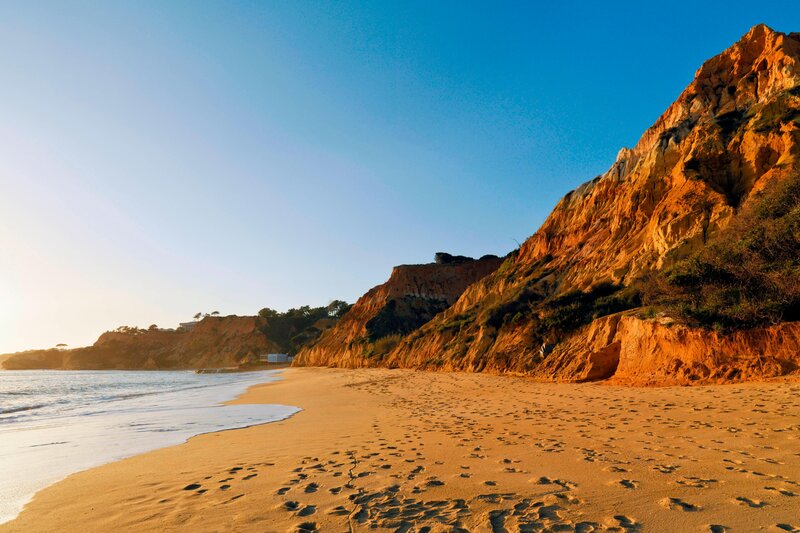 We offer close proximity to Falésia Beach, considered by Conde Nast Traveler to be in the top 3 most beautiful beaches of Portugal and Spain. The beach can be accessed via a walkway and panoramic elevator leading to a private area reserved for resort guests. 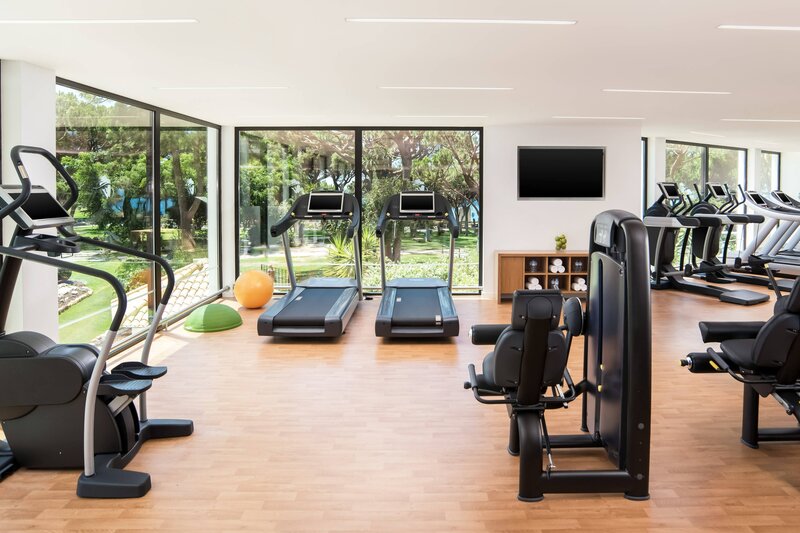 We have prepared a wide range of fitness experiences combining the best facilities, a selection of classes (private or group) and personalized training activities. Enjoy authentic meals at all our 11 restaurants, bars, and cafes. Portugal’s rich gastronomic tradition is evident in the numerous restaurants and bars that populate the resort. Piri Piri Steak and O Pescador serve unique selections of prime meat and fresh seafood. The Pine Cliffs Clubhouse has a true clubby feel with excellent golf course views and featuring a unique and relaxed atmosphere. 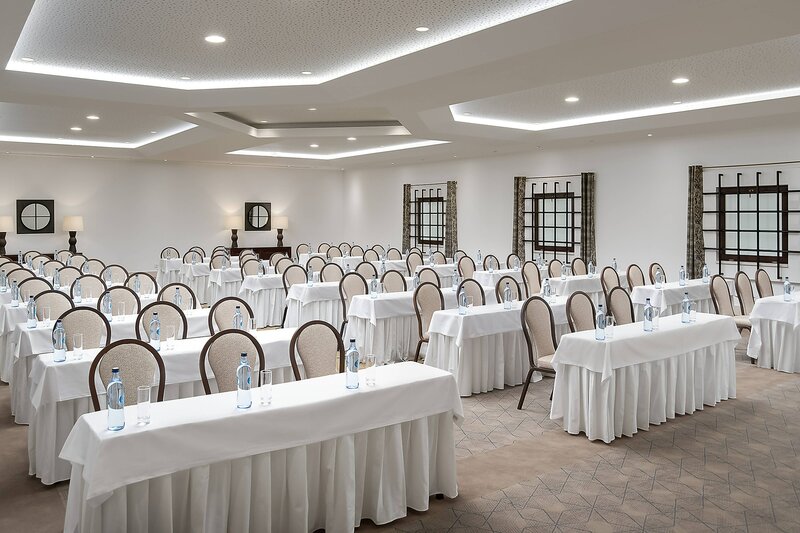 The O Grill and Jardim Colonial restaurant cater to a variety of discerning palates with an extensive buffet that features a different theme each day of the week. 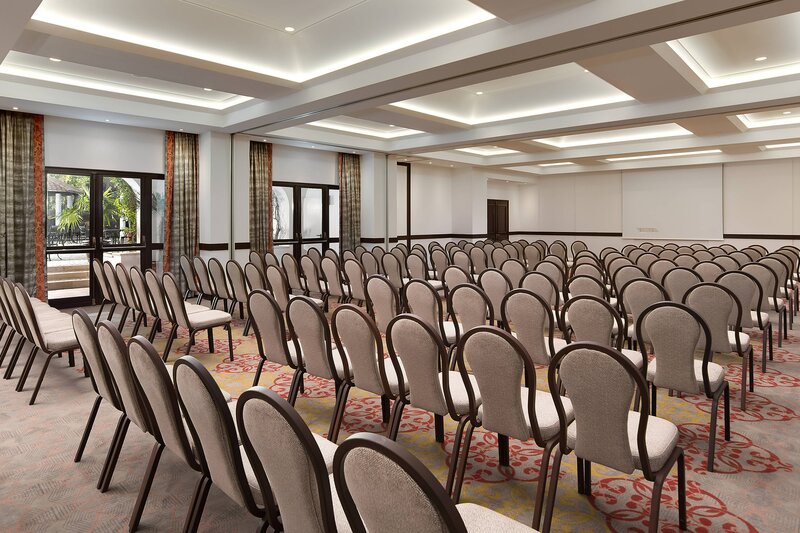 Opportunities for hosting meetings or lifetime celebrations are infinite at Pine Cliffs Hotel, with its impressive 2,184 square meters of meeting facilities, sitting amidst the lush landscaped gardens. 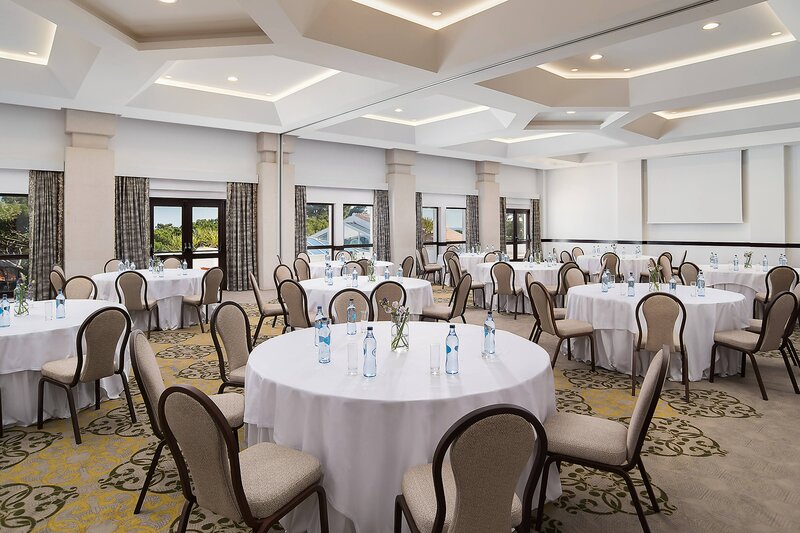 With 13 adaptable rooms, that can be cleverly configured for up to 700 guests, the possibilities are limitless, for both indoor or al fresco gatherings –whether it’s a casual beachside get-together or a more formal gala on the garden terrace. Skilled wedding planners are on hand to curate the perfect day in a location that is not only romantic, but intimate and inspired.